There is a persistent myth that Nikos Kazantzakis was excommunicated by the Greek Orthodox Church. This is not true. Despite the very controversial topics he wrote about, it was eventually seen that he was a novelist and artist and not a theologian, and that what he wrote about was not doctrine but about his own personal struggles, no matter how vividly and shockingly it was portrayed. There was indeed a campaign for his excommunication, but it never fell through. Neither the Holy Synod of the Church of Greece signed it, nor did the Ecumenical Patriarchate. Upon his death, his body was viewed in the Cathedral Church of Saint Menas in Heraklion. Much can be written on this topic, but I think a good summary is given in the book Dialogic Openness in Nikos Kazantzakis by Charitini Christodoulou (the first 20 pages can be read online here, with citations that I did not include), so I am offering a few excerpts below that deal with this issue specifically. Below that are a few articles that delve a bit deeper into the issue. Kazantzakis has attracted various conflicting reactions, mainly due to his religious and political beliefs and the way these were communicated in his work. As pointed out by Middleton (2002: 300), until his death in 1957 Kazantzakis seemed to occupy the position of an outsider in Greek society, because his thoughts did not fall into the accepted categories of theology or literature. As regards Kazantzakis’ religiosity, the debate about it began in 1930 when, soon after the publication of his Salvatores Dei. Αskitiki (1927) some of his contemporaries accused him of atheism and, as Michael Antonakes reports in “Christ, Kazantzakis, and Controversy in Greece” (1990: 25), a trial date was set. Even though he was never summoned to court, a build-up of the opposition to Kazantzakis’ ideas and work was reported, as in 1953 many religious leaders censored the author for offending against the teachings of both the Orthodox and the Catholic Church. Kazantzakis’ religious beliefs are still considered to be a burning issue in Greece, as is shown by the article “Comparisons: Kazantzakis and Theology” in the newspaper To Vima by Ch. D. Gounelas, and the article “Dramatised ducumentaries on his life and battle with God, Kazantzakis’ Passions on screen”, dated October 10, 1997, in the Greek newspaper Ta Nea, where Pavlos Ayiannides states that: “It seems that Nikos Kazantzakis’ relationship with religion, his passion to question, to prove and find out what Faith and God mean, are still burning issues. Recently, an inspector-theologian had requested through a circular that Kazantzakis’ work should not be taught in schools, on the grounds that he was an atheist. Thus, he brought back the issue of his excommunication from the official Church that had risen a few years before the great Cretan writer’s death”. Constantinos Tsatsos (1899-1987) argues that, among the contemporary Greek scholars and poets, Kazantzakis is the most religious one. "Without being what we call a worshipper, he is the only one who is anxious to find God, endlessly struggling with the religious problem”, while Petros Haris (1902-1999) claims that he knows of no other Greek novelist who has given such a great place to God, Christ and the powers of heaven in his work; “Not even god-fearing Papadiamantis is so often, so close to God” (in Panagiotakis” 2001: 274). According to Peter Bien (1989), The Last Temptation and Zorba the Greek are probably Kazantzakis’ most popular novels. The reception of the former can be divided into two camps: the novel has been both condemned and praised, based on religious prejudice. The condemnation originated in the Greek Orthodox hierarchy in Athens that wanted to prosecute the author for blasphemy. At the same time, the Roman Catholic Church placed the novel on the Index of Forbidden Books, while Protestant fundamentalists in the United States campaigned for the novel to be withdrawn from the public libraries. In addition, Martin Scorsese’s 1988 film adaptation of Kazantzakis’ novel raised the same furore as the novel had done (Bien 1989: 66). 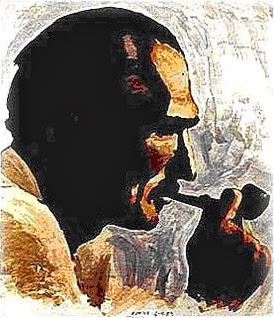 Moreover, according to Panagiotakis (2001: 193), even though The Last Temptation is the greatest of Kazantzakis’ novels, it did not escape criticism and opposition, as it was considered to be heretical and blasphemous. In his book Kazantzakis in the light of dialectic, Michalis Stafylas includes a letter from Iakovos, Metropolitan of Derkon, to Andreas Galanakis that was published in Ethnikos Kirix, the local newspaper of Patras, in which the Metropolitan states that Nikos Kazantzakis is an intellectual with morality and religious radiance who, however, had committed religious suicide in writing novels such as The Last Temptation (ibid: 82). Stafylas also refers to the suggestion of Spiridon, Metropolitan of Athens, and the Holy Synod’s decision to issue a threatening encyclical, as soon as the novels Captain Michalis (1953) and The Last Temptation were published. The encyclical announced that the Holy Synod of the Greek Orthodox Church had taken the necessary measures to protect the Orthodox Christian congregation from Kazantzakis’ writings, while the Holy Synod had also taken the responsibility of making the author apologise for the content of his novels (ibid: 83). Stafylas invokes an article dated June 3, 1954, in Zoi, an ecclesiastical newspaper, that was popular at that time, where the Holy Synod’s attack on the two novels is supported, by pointing to Kazantzakis’ political affiliation with Communism and arguing that, given the tradition of Communist propaganda against Christianity, it was only to be expected that he should attack the Christian Orthodox faith. As Stafylas reports, there was a well-orchestrated, slanderous campaign against Kazantzakis, and the Holy Synod would have gone along with his excommunication from the Orthodox Church, if Irineos, Metropolitan of Cassandrias, had not reacted strongly. According to Stafylas (ibid: 84), Irineos challenged the Metropolitans who had asked for Kazantzakis’ excommunication to tell him if they had actually read the novels in question, only to find that they had not. In addition, Mihail, the Greek Orthodox Archbishop of the United States of America, had convinced the Synod to send the case for Kazantzakis’ excommunication to the Patriarchate for ratification. Thanks to the influence of intellectuals and representatives of the Cretan people, the Patriarchate did not go through with the ratification and thus Kazantzakis was never excommunicated from the Church of Greece (ibid). As regards the issue of Kazantzakis’ excommunication from the Greek Orthodox Church, Patroclos Stavrou, in the article dated April 29, 2000, in the Greek newspaper To Vima, wrote: “[The Greek Church] started censuring and preparing Kazantzakis’ excommunication, a satanic, deceitful text and whatever else may one call it. Kazantzakis sent also to them a telegram that he is making an appeal to the Court of God and added: ‘You placed a curse on me, Holy Fathers, and I give you my blessing: may your conscience be as clear as mine and be as moral and devout as I am’. In the end, the Church of Greece did not dare to go ahead with Nikos Kazantzakis’ excommunication. The general perception that Kazantzakis was excommunicated is false”.